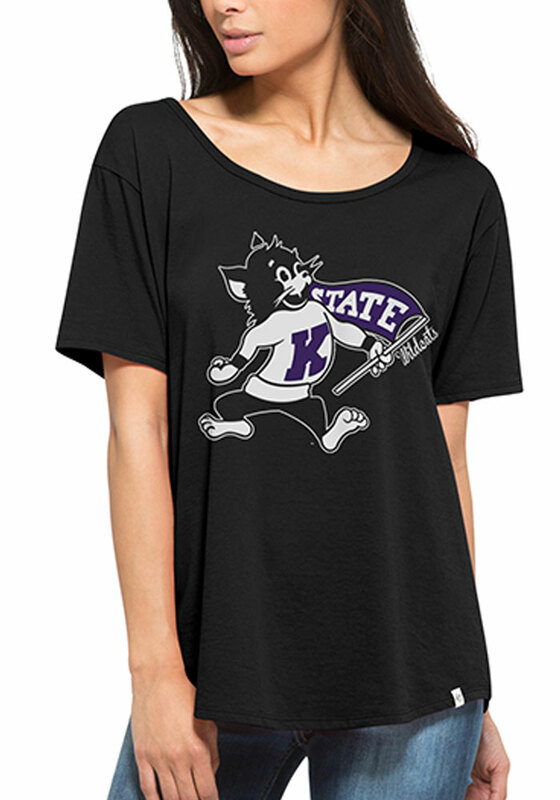 Let everyone know who you root for in this K-State Wildcats Black Boyfriend Short Sleeve Scoop! This K-State Wildcats Short Sleeve T-Shirt features a screen print team logo. Love the way this tee fits- a little oversized so it can be worn with leggings or jeans.